The Bottom Line: I have been an avid hobby photographer for over 30 years. I’ve had 2 real problems when it comes to taking my gear on a hike. Having it be accessible when I need it, and finding something that I can adjust to fit me. I have found my answer with Paxis. The Paxis Twin Lakes maintains a standing position, ideal for loading and unloading. Pat Kolberg. I have spent a lot of money on packs, I have tried different vests, and yet nothing quite fit the bill. Packs carried my items, but then they were behind me, and changing lenses meant taking the pack off. I had one pack that spun around my neck, but that only left big scratches. When around the front, the pack was not flat, and I had to be careful not to drop anything. The vests were too big, and when I went to a local camera shop find one to fit, I was told, “they don’t make them for people your size." Instead, I carried my extra lenses in my hands while I hiked—not ideal when you slip or slide and need to quickly grab a tree root for balance. 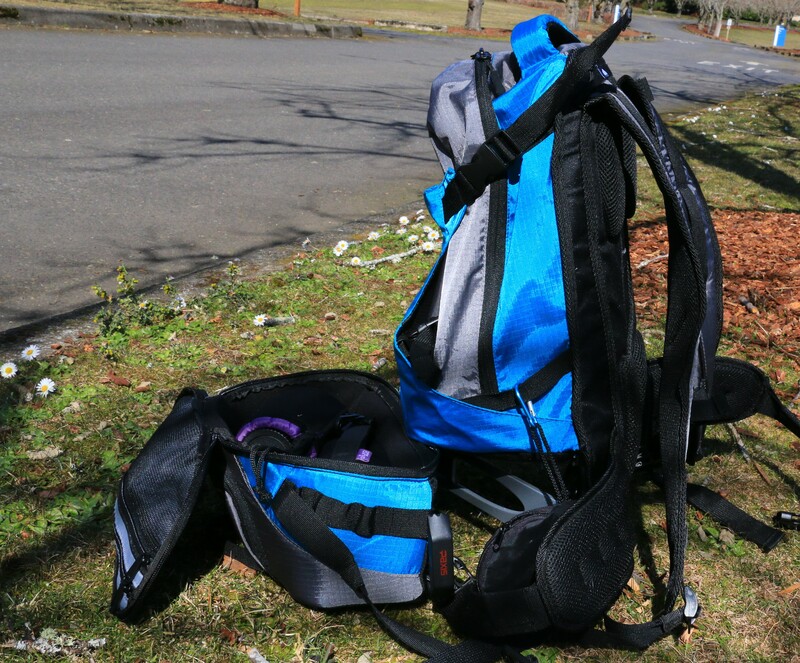 I purchased my first Paxis pack a couple of years ago, and I am so sold on how they work. What makes this pack different? The top of the Paxis pack is a regular pack, but the bottom is mounted on a swing arm. All I do is pull the handle, the bottom of the pack swings around, and there you are: all the gear I need, now in front of me. The pod clips to the waist band if you want it to, making it more stable, so switching out gear is safe and easy. Because I can make this pack small enough to fit me, hiking is a more comfortable experience, solving the second major problem. The chest strap slides up and down in the front, so it can be moved to the best spot for you. The waist straps can be cinched down, and even packed full it does not feel too heavy or bulky. Over 5 hours of hiking with the Twin Lakes, I couldn't be happier. After 5 hours with the pack on my back, I do not feel at all fatigued. I felt no shoulder soreness that other packs often create. I could go out and do another 5 hours easily. The upper compartment on the Twin Lakes is more spacious than in the Mt Pickett, its Paxis predecessor that measured a maximum 27.5 liters. I was sometimes limited on what I could take with me before, but that won't be a problem now. I can pack even more, but the pack itself is also lighter, so I still don't feel overloaded. When I need to do a lens comparison, I can take the extra lenses (that makes four) with me and go for it. The pull handle has been moved to the pod itself on the new Twin Lakes. Its location means you don't hit it with your arm as you walk, but it's still as convenient as ever to use. Paxis was founded by a couple in the Pacific Northwest, Cathy and Paul Vierthaler, and you can read more about them at PaxisPax.com. I asked Cathy if they developed the pack for fisherman, as was my impression. She told me, “We actually came up with the idea as day hikers and quickly learned that there are many other applications. Our two biggest markets are fly fishing and photography." They have hit the mark in my opinion. The customer service is top notch as well, a true bonus.